For Dolphins players, the job of a professional athlete doesn’t end when the gameday cameras stop rolling and the pads are hung up in the lockers. During their free time, many give back to the communities that raised them, using their platforms and voices to make a difference in the lives of less-privileged families. 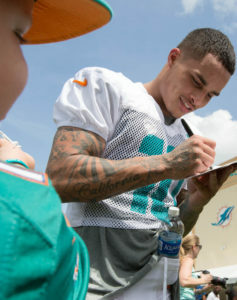 In addition to participating in nearly every philanthropic event the team has hosted since he arrived in South Florida four years ago, wide receiver Kenny Stills – a nominee for the 2017 NFL Walter Payton Man of the Year Award – has spent each off day during the season working on innumerable charitable efforts. In the coming weeks, Stills plans to give away presents on “10 Days of Stillsmas,” an initiative he personally launched last season to spread more joy to his fans. Nearly a year ago, linebacker Kiko Alonso watched helplessly as Puerto Rico, his father’s birthplace, was devastated by Hurricane Maria. No. 47 immediately started a fundraising campaign to help victims in both Puerto Rico and Miami, with a goal of $150,000. 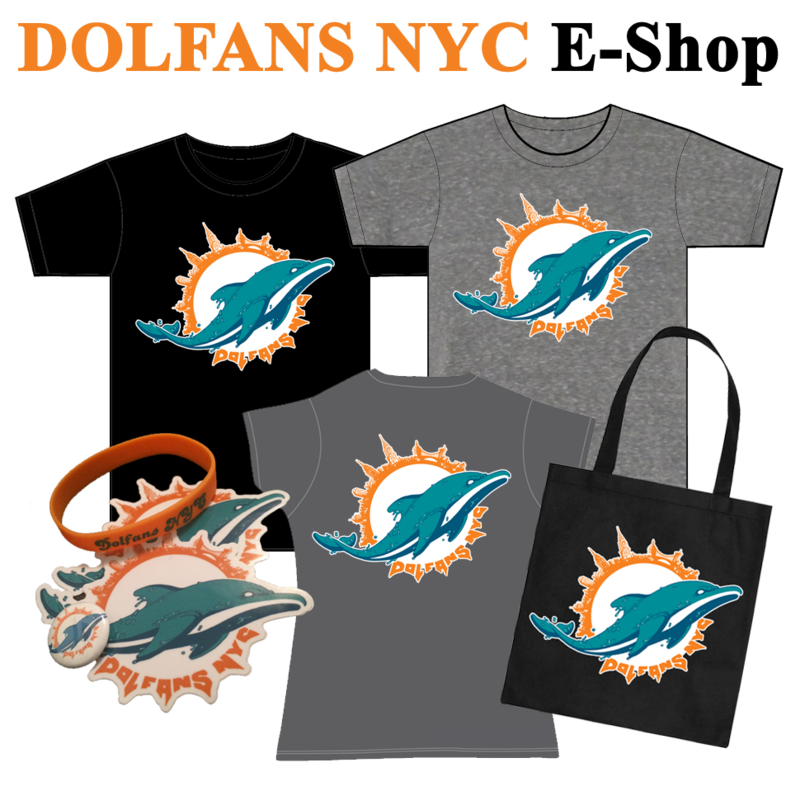 Alonso pledged the first $25,000, which was subsequently matched by the Miami Dolphins Foundation; in all, the relief fund generated over $165,000. The recovery efforts are still ongoing, and Alonso stresses the importance of lending a helping hand, whether it’s for those impacted by natural disasters or unable to find food and shelter in local townships. Hosting food drives, supporting Boys and Girls Clubs or working with police departments may not generate as many headlines as game-winning touchdowns, but players recognize that even a gesture as small as tossing a football with a group of kids can leave a lasting impression. “You always want to pay it forward,” said safety T.J. McDonald, who has regularly partaken in team community efforts, including the Dade vs. Broward All-Star Game and the Dolphins Cancer Challenge, as well as numerous other events during his time with the Rams. Cornerback Walt Aikens understands the importance of having that kind of support and guidance first-hand. Beginning at age six, the Charlotte, N.C. native played youth football for the Police Athletic/Activities League, which aims to strengthen character, build bridges between police and communities, and prevent juvenile crime through recreational, mentoring and educational opportunities. Aikens credits the organization for playing a critical role in his on- and off-field development, and for keeping him on the straight and narrow path as an adolescent. In May, the 27-year-old was named an official spokesperson for National PAL, and proudly serves as an inspiration for impressionable children – including his younger cousin – who faces similar kinds of hardships or roadblocks. As Stills explains, the opportunity to impact the lives of others isn’t just something that comes with the territory of being an NFL star.